Now that isn’t a short list. In fact there are 47 Capitals in Europe: Ankara – Turkey, Baku – Azerbaijan, London – United Kingdom, Podgorica – Montenegro, Rome – Italy, Moscow – Russia, Berlin – Germany, Kiev – Ukraine, Tbilisi – Georgia, Zagreb – Croatia, Madrid – Spain, Skopje – Macedonia, Budapest – Hungary, Warsaw – Poland, Prague – Czech Republic, Sofia – Bulgaria, Vienna – Austria, Vilinius – Lithuania, Bratislava – Slovakia, Belgrade – Serbia, Riga – Lativa, Minsk – Belarus, Oslo – Norway, Ljubljana – Slovenia, Reykjavik – Iceland, Bucharest – Romania, Yerevan – Armenia, Amsterdam – Netherlands, Stockholm – Sweden, Helsinki – Finland, Brussels – Belgium, Tallinn – Estonia, Sarajevo – Bosnia and Herzegovina, Chisinau – Moldova, Dublin – Republic of Ireland, Paris – France, Copenhagen – Denmark, Lisbon – Portugal, Berne – Switzerland, Luxembourg City – Luxembourg, Tirana – Albania, Athens – Greece, Vaduz – Liechtenstein, City of San Marino – San Marino, Monaco – Monaco, Valletta – Malta, Vatican City – Vatican City. Those in bold are the cities I have managed to visit to date – through a number of trips, those in italics are those I’ve visited, but only in passing. So there are lots of capitals to see, and I did not have the largest resources to travel with. I came across lots of travel idea blogs on stumbleupon, and one of the websites I saw was Inter-rail or Eur-rail for those people who don’t live in Europe. This seemed like a perfect idea for me to be able to see lots of cities in one trip, and a good way to get out and plan my first independent trip abroad! Who are you going with? As a girl I didn’t want to travel the European trains by myself, so I found a male friend of mine who was also taking a gap year and keen on travelling. How long are you going to be travelling for? They offer a number of passes, which vary in length, but also can allow you 10 days travel in 22 days, or unlimited travel over a period (up to 1month). If you wanted to stay longer in each place then you could opt for the ‘flexi’ travel days pass. But if, like me, you wanted to visit lots of places and were travelling every couple of days the continuous pass would be better. Where are you going? It’s a good idea to know which places you want to visit. Particularly if it’s only a short trip, you don’t want to waste time working out which places you want to go once you’re already there. But equally you don’t necessarily want to have your entire itinerary set in stone. When are you going? Is there a specific event that you want to travel there for? Many countries have lots of festivals throughout the year, such as Carnival, or Oktoberfest in Germany. If you want to go for something specific then plan it around that, but you’ve got to remember, big events will mean that many hotels/hostels might be booked up. 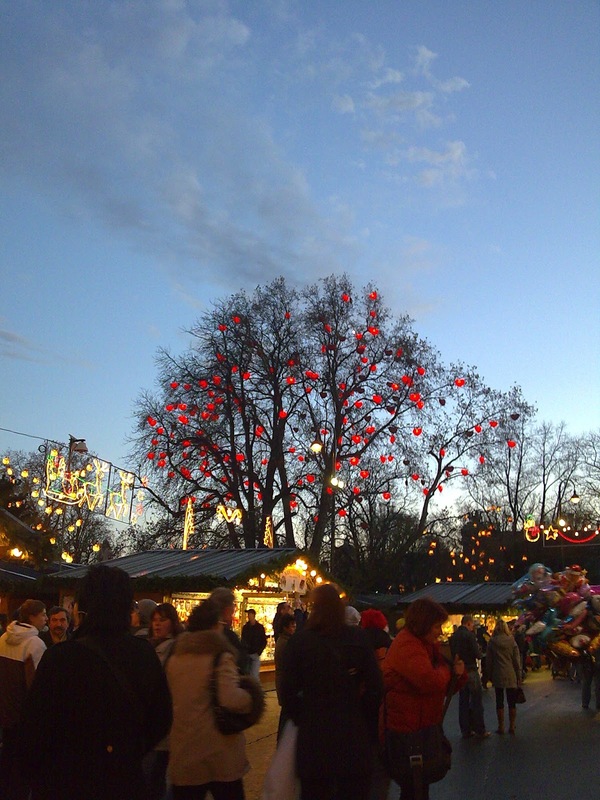 The set of events I really wanted to visit were the Christmas Markets, held across most of Europe they can really be quite spectacular. 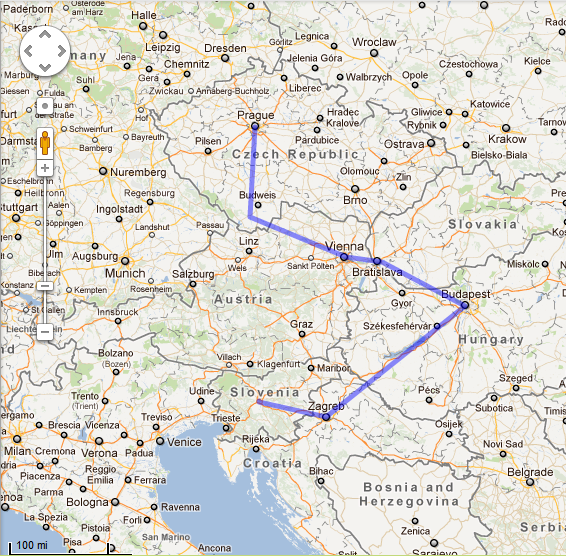 The route of our trip mainly relied on where we could get cheap flights to and from. We managed to find some flights from London – Prague, and Ljubljana – London for about £60 per person (for both) which was pretty good and we planned the route around that. Picking major cities that weren’t too far away from each other on the train. Ideally I would have loved to have decided as we went along, and been able to visit more of the smaller cities, but due to the short length of time of our trip we could only afford to spend a few days in each city as it was. As a person planning trips I like to be organised, or at least prepared. So I did some background research for each place we were going to be visiting. Things like this are more important for going to countries where you don’t speak the language. Thankfully my friend and I spoke some Russian and fairly fluent German, combined with the amount of tourist English there is out there it was enough to get by on. Although…I would always advise trying to learn a few words of the language, even it you only learn please, thank you and excuse me. It’s good to make a bit of an effort. Train times from that city to the next stop. Hostels – including reviews and prices – we didn’t book all of our hostels before we left, but I looked them up for the entire trip, and we booked them a city or two in advance. In my next set of blog posts I’m going to talk about each city we visited, and what there is to do/what did we do, and include some of the photos I took whilst I was there. Unfortunately technology decided it hated me and in Vienna my SD corrupted itself. So the number of photos for some places are limited. But I still have some thankfully!